When you visit NFMT Insider year round, you’ll benefit from conference video highlights from our educational facility experts. And the learning doesn’t stop there! You’ll also get to view a showcase of helpful supplier/technology videos along with a library of product brochures. Become a member of NFMT to get all the facility content, plus perks at our trade show events. Learn more about membership today! 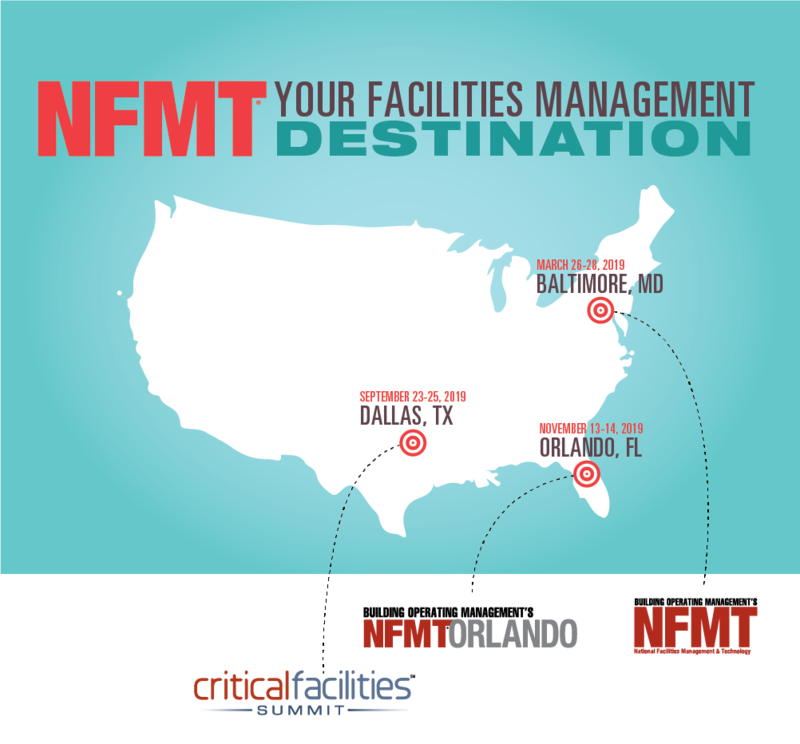 NFMT is a trade show and educational conference for facility professionals responsible for the management, operations, maintenance, renovation and construction of non-residential buildings. East coast, West coast, Spring, Summer or Fall? No worries. We host four national facilities management conferences a year. Attendees and exhibitors know NFMT Baltimore and NFMT Vegas can move their careers and businesses forward.